Learning Vector Quantization (LVQ) has been studied to generate optimal reference vectors because of its simple and fast learning algorithm. It can be understood as a special case of an artificial neural network, more precisely, it applies a winner-take-all Hebbian learning-based approach. It is a precursor to self-organizing maps (SOM) and related to neural gas, and to the k-Nearest Neighbor algorithm (k-NN). LVQ is that it creates prototypes that are easy to interpret for experts in the respective application domain. 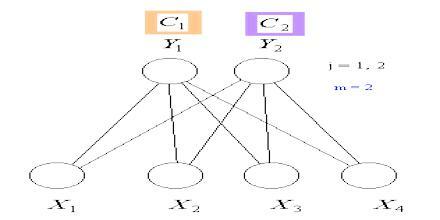 LVQ systems can be applied to multi-class classification problems in a natural way. It is used in a variety of practical applications.